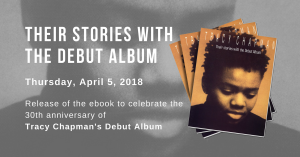 Looking forward: Four-time Grammy winner Tracy Chapman, on tour supporting her most recent album, “Our Bright Future,” plays at The Fillmore this weekend. SAN FRANCISCO — Back in the 1990s, Tracy Chapman was part of the music motherlode. More than 20 years after her breakout hit “Fast Car,” the four-time Grammy winner, a longtime Bay Area devotee, may still be accepting what is so, the only difference now is that she seems to be doing it with more confidence. Longevity will do that to you. Bottom line: (Not that she needed a push but …) Chapman has come into her own — as an artist and a woman dedicated to learning more about herself. Chapman has been back in the spotlight in the last year after the release of a new LP, “Our Bright Future,” last November. She and her band, San Francisco natives, hit the Fillmore on Friday and Saturday. She says that the secret to her success has much to do with her loyal fans, many of whom supported her work even when some of her albums weren’t that commercially lucrative. Those would be the albums between 1988’s “Fast Car,” which sped up the charts, and 1995’s “New Beginnings,” which offered up the single “Give Me One Reason,” another Grammy-winning outing. “Our Bright Future” is her first album in four years. On it, Chapman evokes a sense of grounded maturity. “I get really excited about the creative process,” she says. 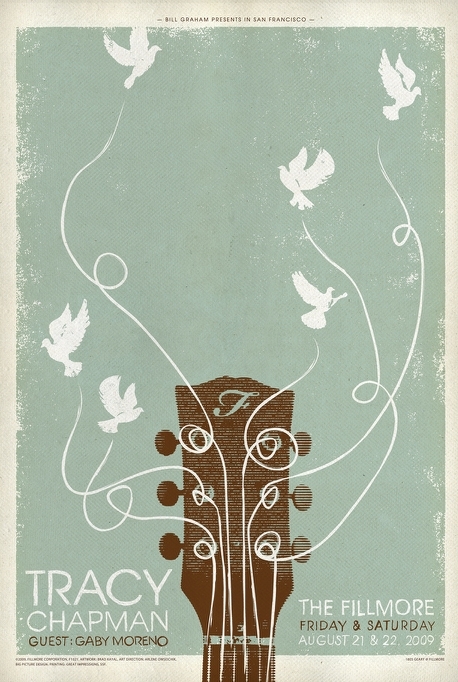 “When I am writing songs, at times it feels as if you get to make something from nothing. I don’t have a schedule for topics I can write about. I write and then I find moments to play what I am inspired by. One thing that remains clear is Chapman continues to evolve, both professionally and personally. * Where: The Fillmore, 1805 Geary Blvd., S.F. I attended the show last night. It was spectacular. Tracy blew me away. I hadn’t seen her since 99 at Bumbershoot in Seattle. I was really glad that she spoke quite a bit, something she didn’t do in 99. I can’t remember the set list, but I do remember the encore had a rousing Proud Mary and that she ended with an audience selection of Change. She appeared quite happy to be back home. I’m sure tonight’s show will be emotional. Hey, sorry D…… Proud Mary is NOT by Tina Turner…….she covered it….. I wish I could relive the moment when Tracy sang the opening song “Halleujah.” I have always loved her music, but never experienced anything see her live!! She has grown into herself and it is exciting to such an incredible talent sing and speak to very meaningful things that deeply affect my life. I would see her anytime, anyplace to recapture those exhilarating moments. She is my new favorite artist.